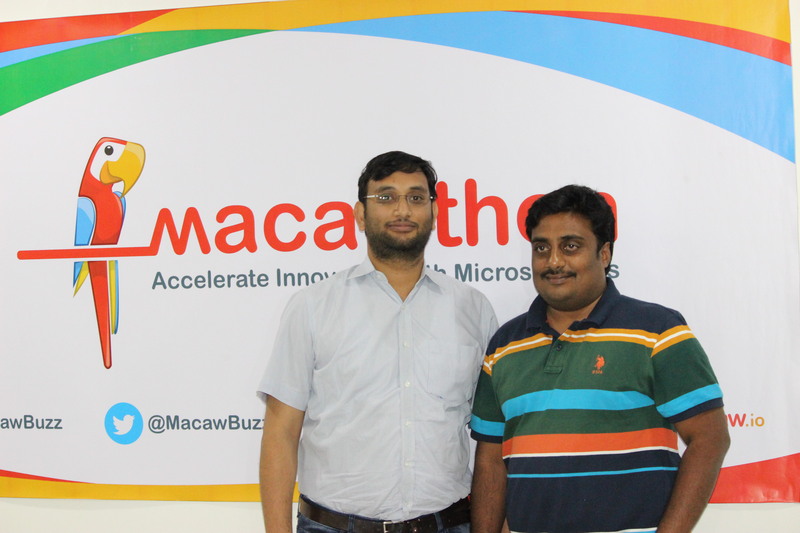 Macaw Software has successfully completed its third Macawthon in a series of events planned across the world. More than 8 companies participated in the event, resulting in a fruitful outcome. 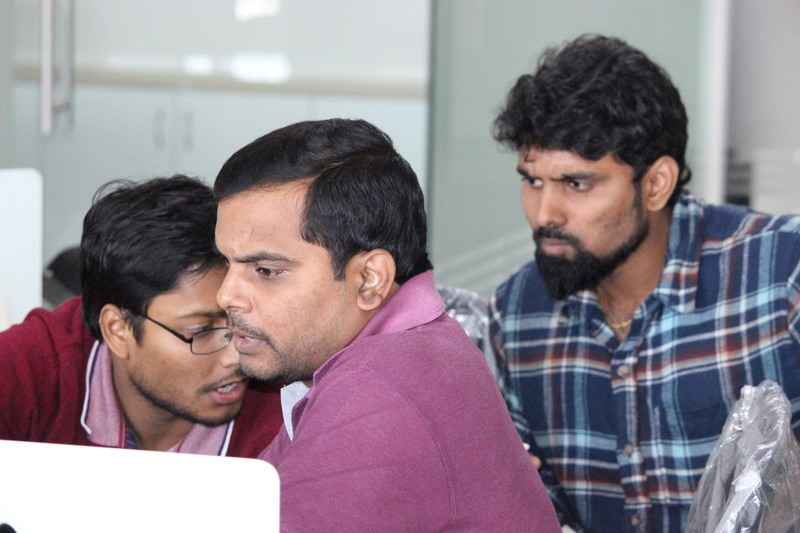 All teams were able to conceptualize and implement their ideas within a few hours, leveraging the prescriptive Microservices platform capabilities. Congratulations to all the team members. All participants received a Macaw certificate and a T-Shirt. This team implemented a service to get a list of processes, something akin to “ps -e” service. They are the first team to build and deploy the services. This team got their work done efficiently, with hardly any need for suggestions or input from us. Members of the team are B.Ramesh Kumar, J.Srinivas & J. Pardha Saradhi, representing Netexcell Communication Ltd. This team implemented a service which internally used Cassandra to store and retrieve data. Admins can create topics and publish FAQs for each of the topics. This was the only team that were able to use Database As A Service provided by the platform. 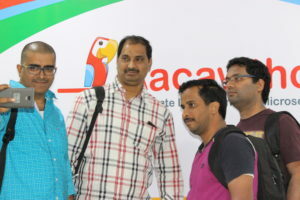 Members of the team are Subhankar Goswami, Kalyan Reddy and Srinadh N, on behalf of TradeLeaves a B2B platform company. This Team has developed wallet and billing services. Both services are developed and deployed independently. They used inter-service communication provided by the platform to talk to each other. Their task was achieved in a very short time. 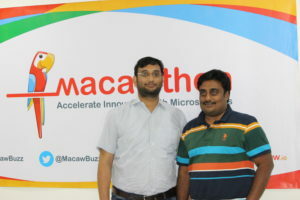 Srinivasa Raju from Zensar Technologies and Ramji Raju from Cisco Systems are the total winners.